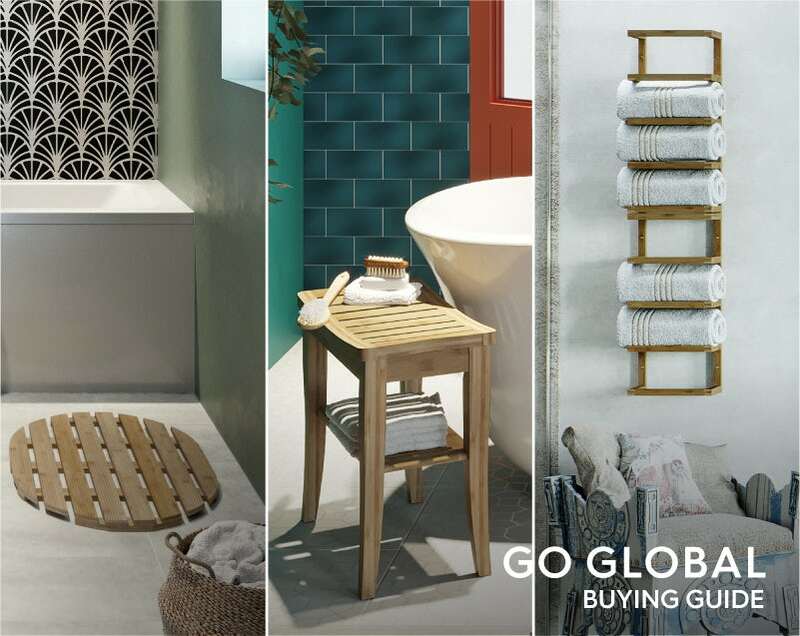 If you’ve been inspired by any of our “Go Global” bathrooms, discover which products work best with this handy buying guide. To demonstrate how one space can be styled in 3 different ways, some products were used across all 3 bathrooms. With its gorgeous curves and bell-shaped design, this luxury freestanding bath manages to fuse both traditional and contemporary styles. The shape formed a natural fit with Indian and Middle East architecture, whilst the mix of old and new complemented Mexican interiors too. 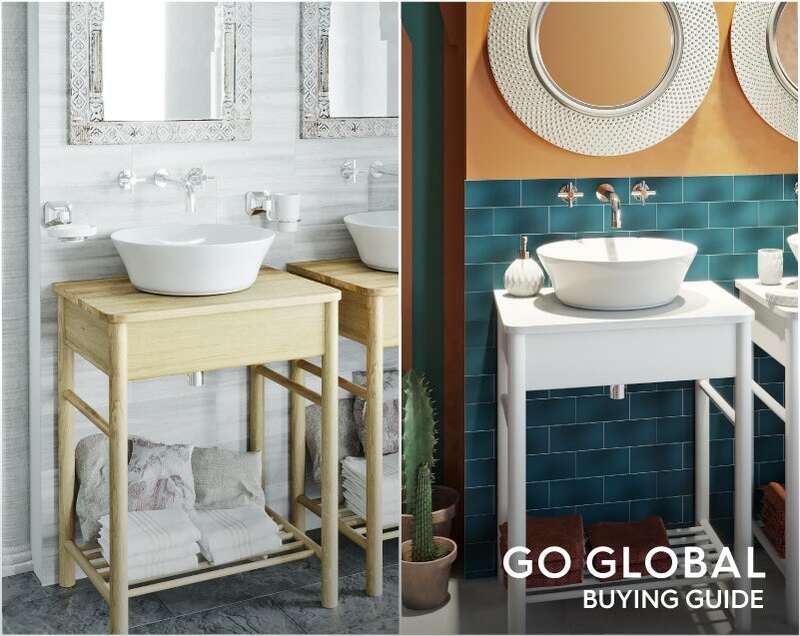 Featuring slim legs and a choice of either white or natural wood finishes, the South Bank washstand was the perfect pick for all 3 bathroom designs. 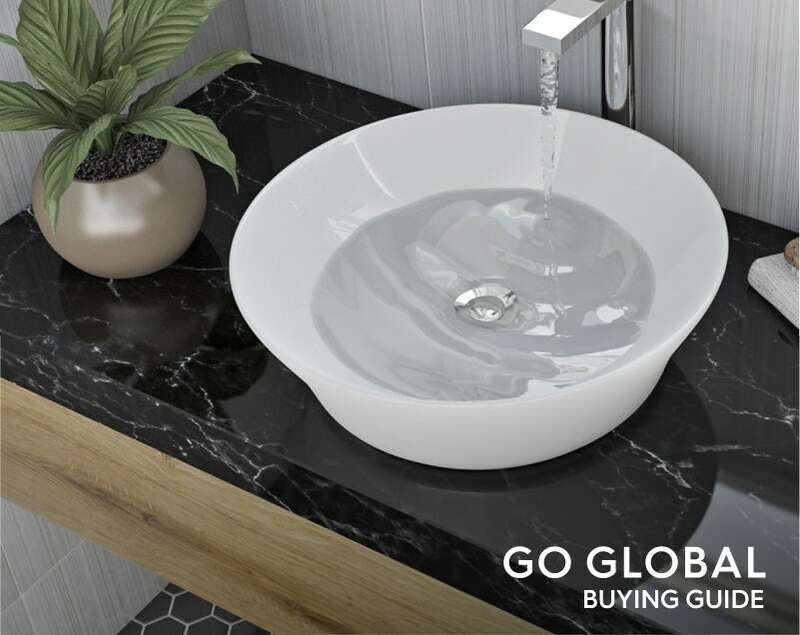 When combined with the Bowery thin edge countertop basin, it produces a highly contemporary, spa-like look that fits with the exotic interiors. This wet room panel pack is the perfect way to show off your themed interiors. 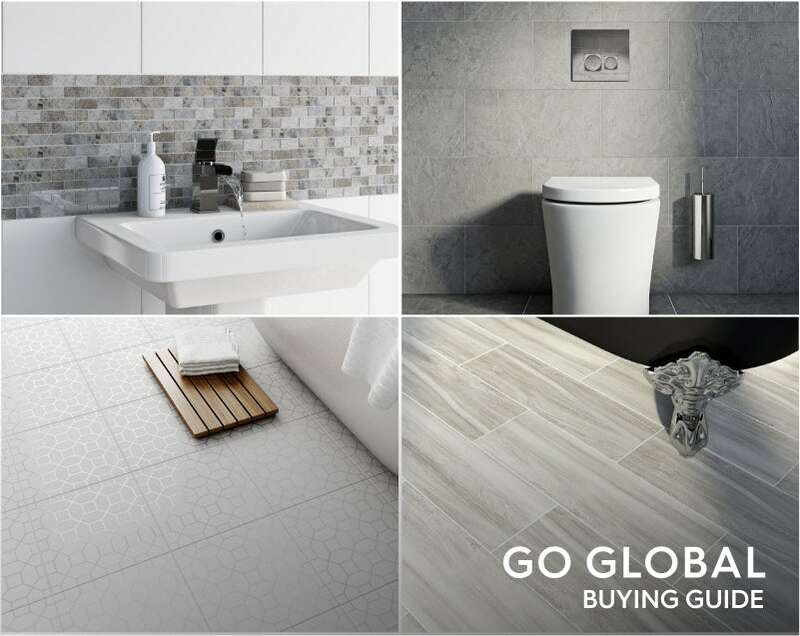 The frameless design creates a spacious, open plan feel without interrupting the flow of your chosen floor tiles. 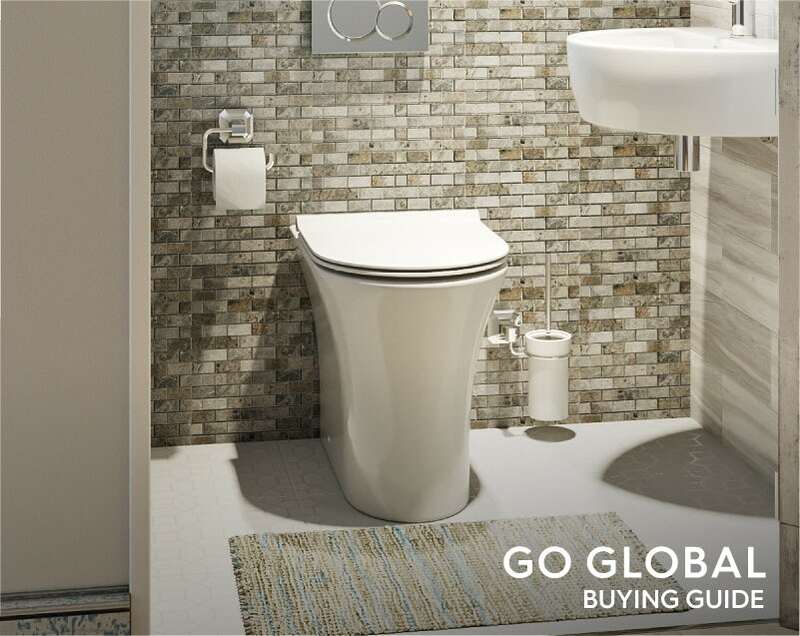 With a short projection of just 490mm, this back to wall toilet isn’t just stylish—it also saves on space. The clean lines and gentle curved profile fit perfectly with the curved forms found in each of our 3 bathroom designs. 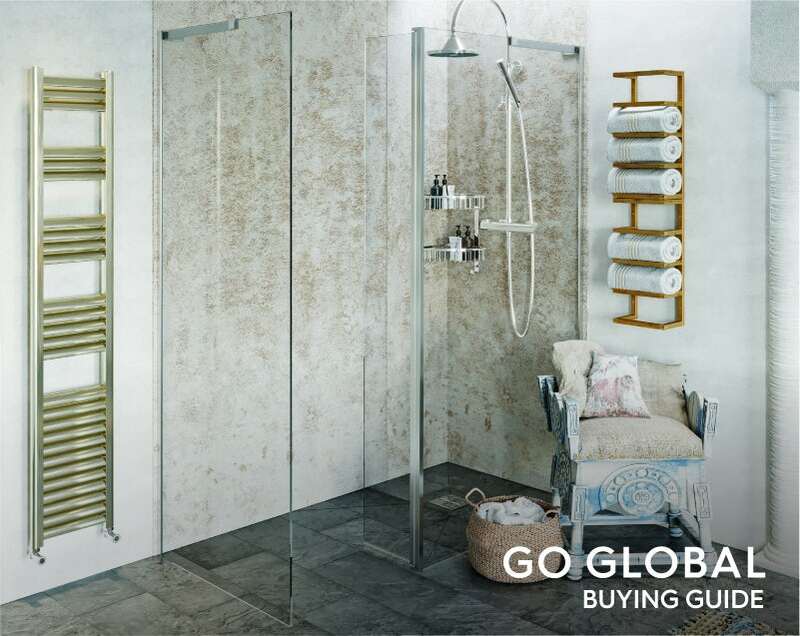 We’ve accessorised each bathroom with these gorgeous bamboo items, including a wall mounted towel rack, stool and duck board, providing a more natural look and feel. 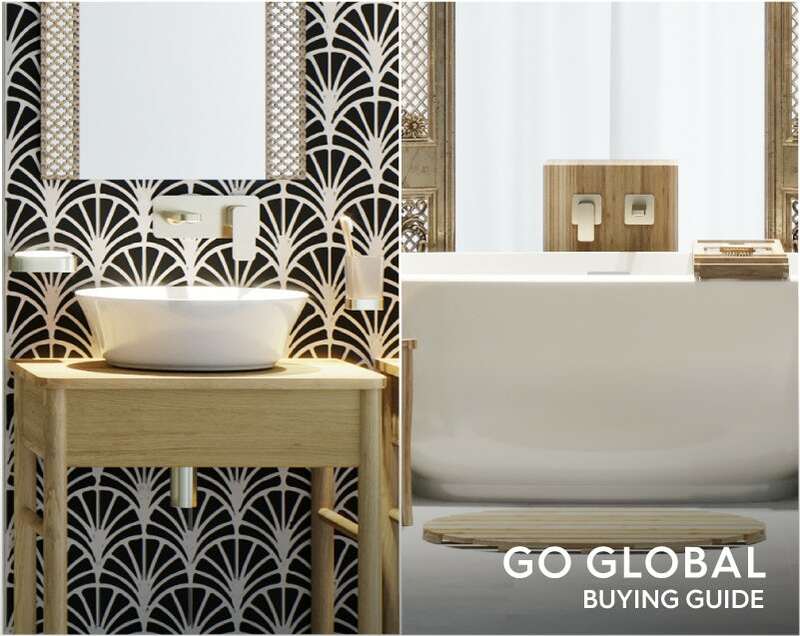 Let’s take a closer look at the products used exclusively in our Indian-inspired bathroom. 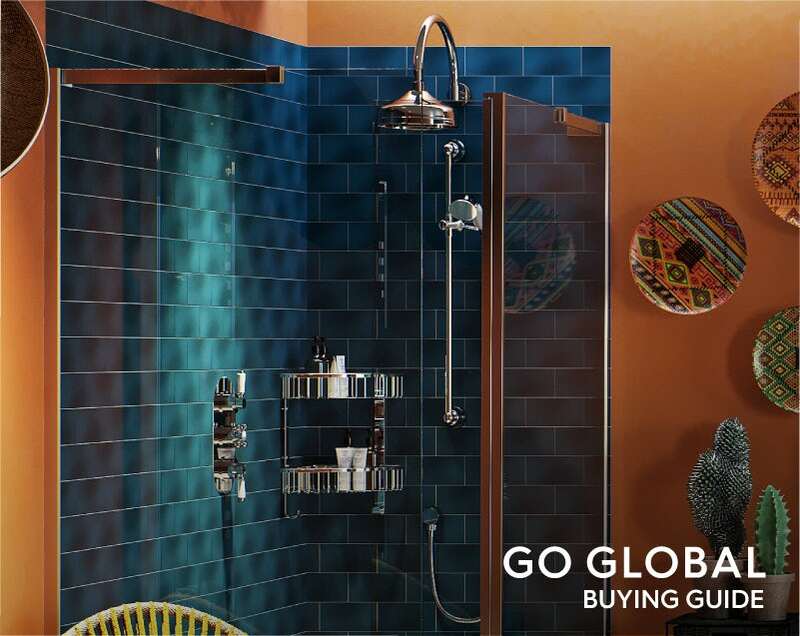 Giving a nod to the high-tech side of modern India, this contemporary thermostatic shower set comes complete with an LED shower head, which indicates when your water temperature is just right. 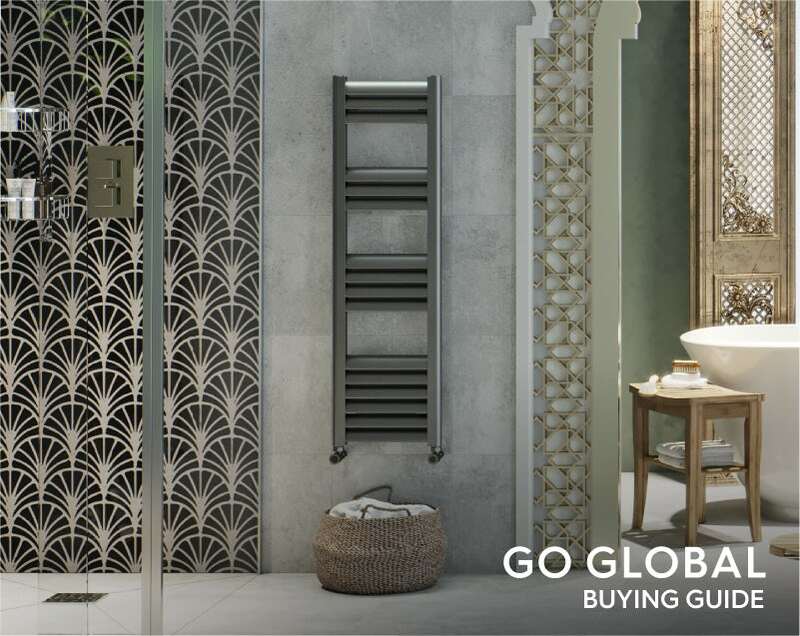 Featuring a gorgeous brushed aluminium finish, this ladder style towel heater fits with our contemporary design. For a more simple look to both the bath and basin areas, we added these elegantly-curved wall mounted taps. We also used these in our Mexican-themed bathroom. 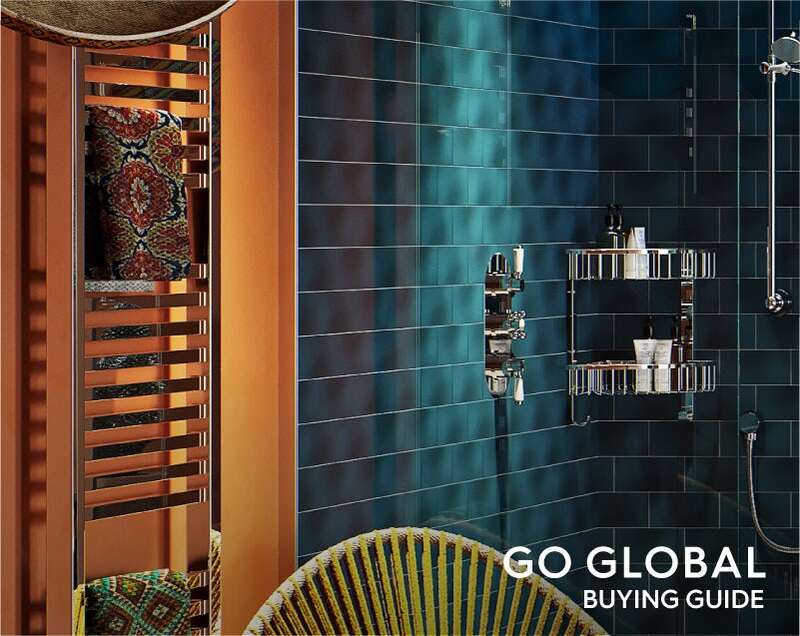 Let’s take a closer look at the products used exclusively in our Mexican-inspired bathroom. 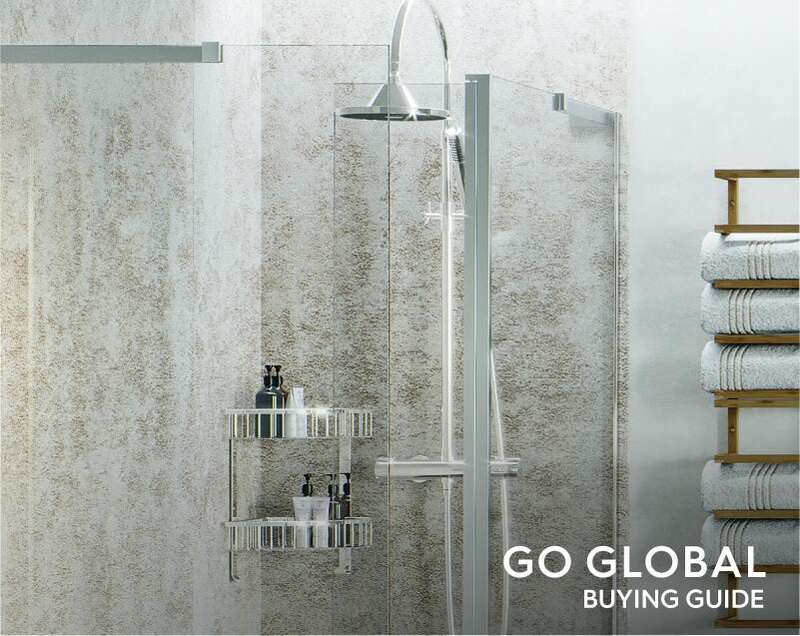 Old world meets new with this elegant mixer shower. 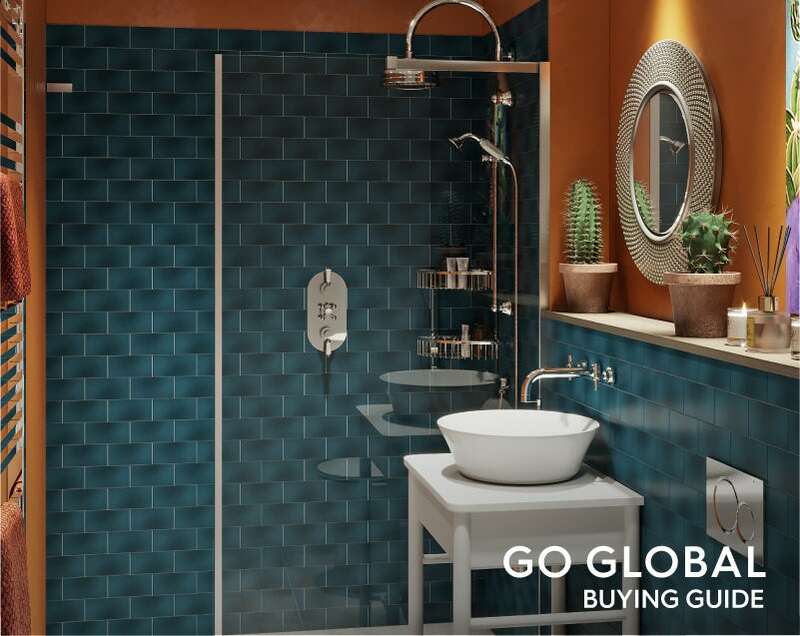 Complete with hooped wall arm, rain can style head and classic lever and dial controls, it's the perfect choice for our Mexican-themed bathroom. 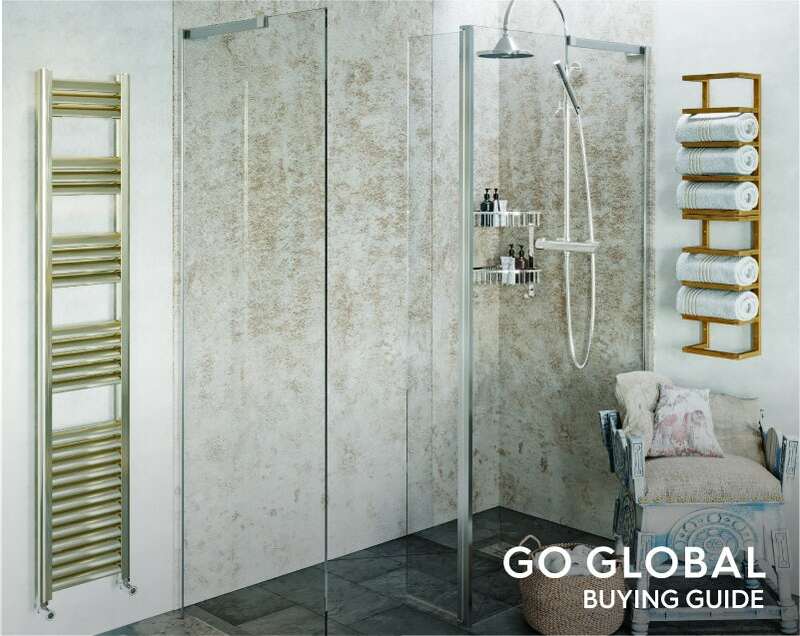 With a sparkling chrome finish and square-shaped design, this heated towel rail complements the other chrome fixtures in our bathroom. These beautiful metro tiles work perfectly with our Mexican-influenced colour scheme. The deep shade of blue combines brilliantly with the ochre walls, representing the sea and the desert respectively. The intriguing hammered silver surround works perfectly with this look, mirroring some of our chosen accessories (if you pardon the pun!). Our gold-coloured shower set wasn't chosen by accident. This sumptuous finish adds a sense of opulence to what is a refined and luxurious room design. 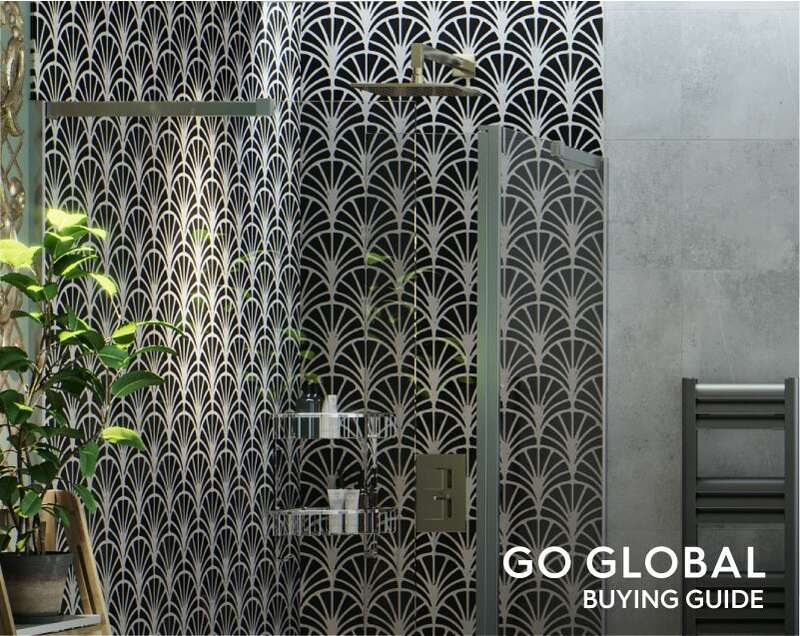 Just like the shower set, we selected gold-coloured taps to add a sense of luxury to our overall theme. This beautiful lightweight heated towel rail in charcoal black adds contrast to the light colours in our bathroom design. From floor to ceiling, these gorgeous grey tiles from Laura Ashley enhance the feeling of light and space. If you’ve enjoyed our latest “Get the look” style guide, why not browse the rest? We have a huge number of inspirational style guides, so you’re bound to find a look that matches your tastes. 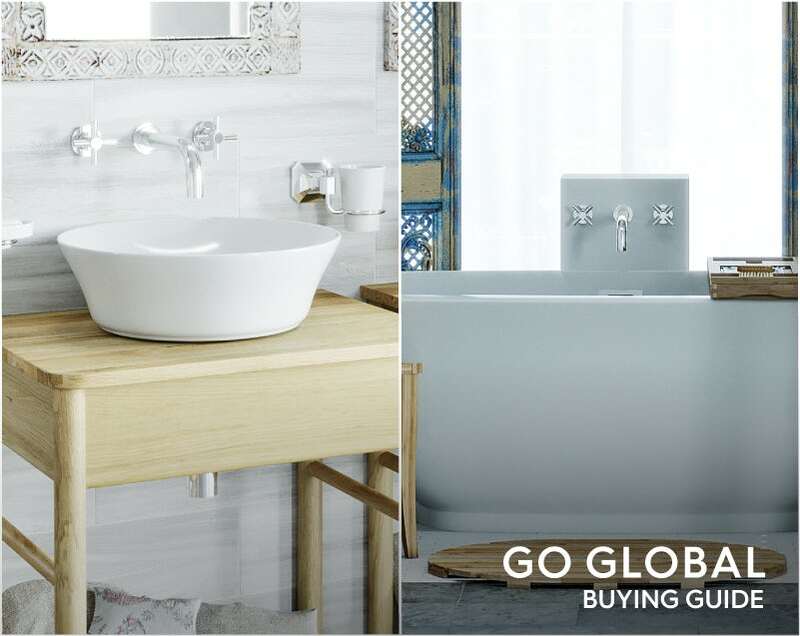 Go Global with your home interiors. 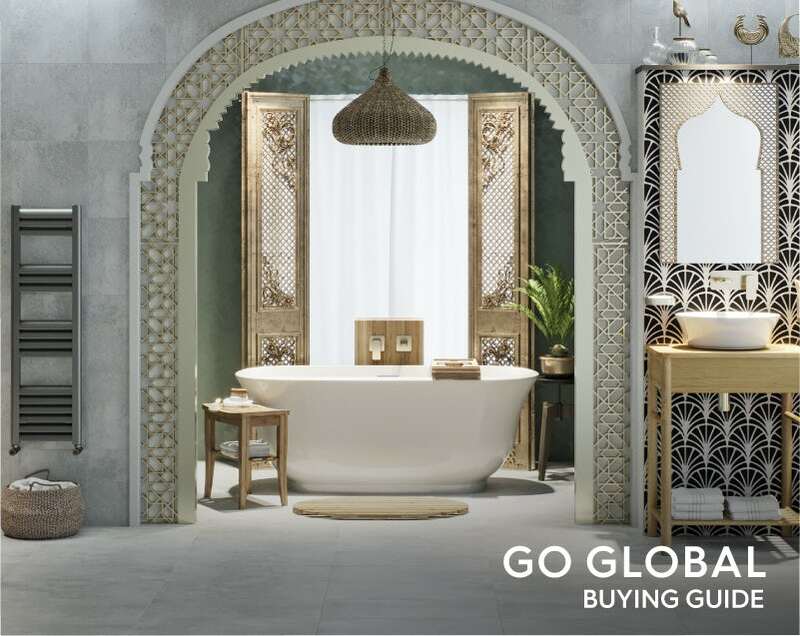 In this style guide, we'll show you how to create an Indian-themed bathroom that captures the exotic character of the Indian sub-continent. 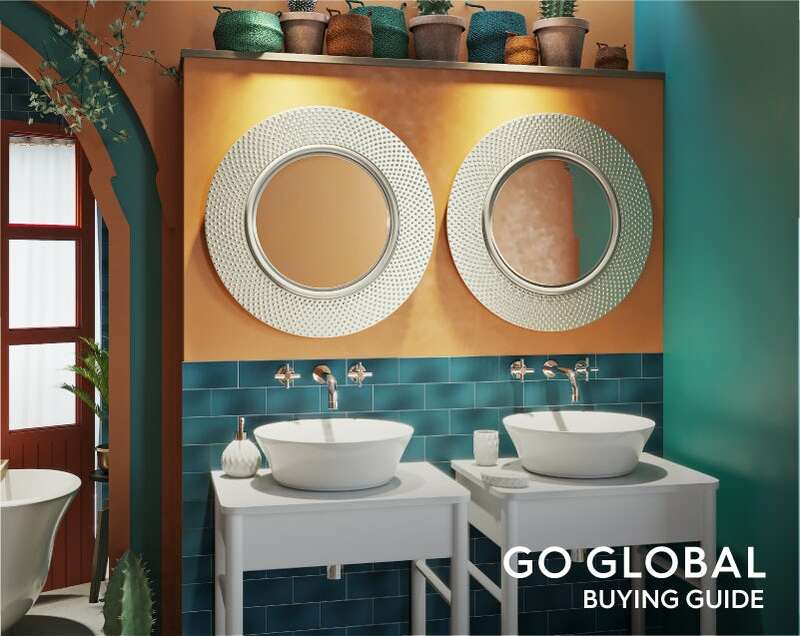 We're heading south of the border with our next bathroom design, showing you how to create a Mexican-influenced bathroom that will certainly give you a reason to throw a fiesta! 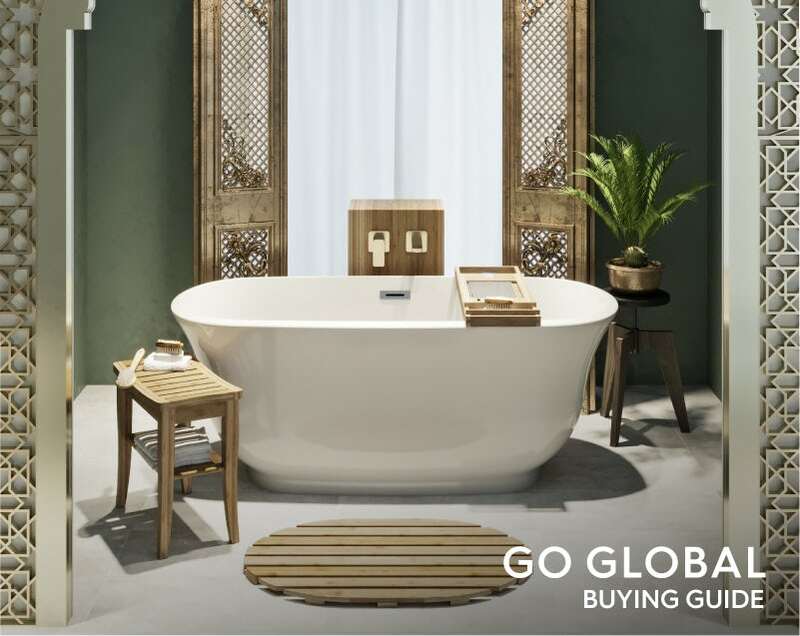 Exotic and undeniably luxurious, we'll show you how to create your very own Middle Eastern Hammam with this "Get the look" style guide.